Happy first Sunday of June... we're one step closer to summer! Did you catch our reviews this past week? Zeus is still making sure no one touches his delish Merrick Senior Medley.... paws off! I would guard it too! LOL! I wouldn't dare take that from you. ;) Too cute! Good for him! Defend what's yours! 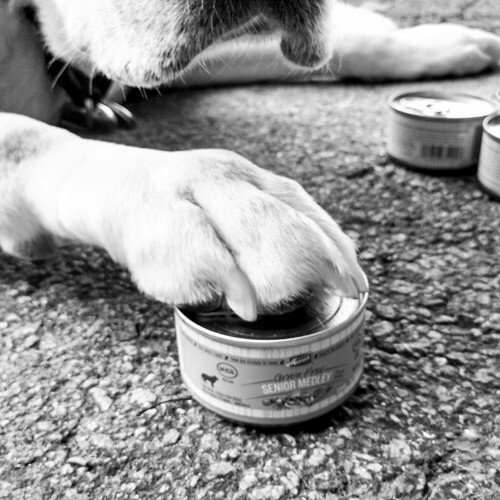 It's always best to keep one paw on your food so nobody tries to munch it from you!